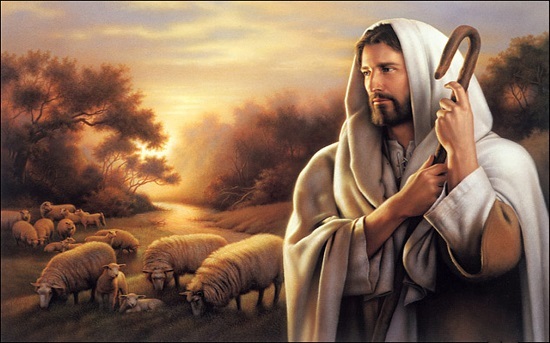 Sure, Jesus loves working with animals. But does that really qualify him for one of the highest leadership positions in the entire universe? The crack journalists over at The Onion have uncovered a shocking scandal that goes back more than two thousand years. Did Jesus Christ benefit from nepotism when he was appointed Lord and Savior of humanity? It is well-known that Jesus Christ was the eldest son of God, the divine creator. It is now alleged that Jesus was appointed to his position based solely on his parentage, and that he may have been chosen over more qualified candidates for the job. In fact, he may not have even been able to obtain a heavenly security clearance on his own. Examining evidence from the Gospels, as well as recently unearthed ancient Christian and Gnostic texts, researchers at Yale Divinity School concluded that Christ’s close familial relationship to the Creator of Heaven and Earth likely contributed to His meteoric rise from obscure carpenter to high-level divinity, giving Him a leg up over candidates who may have been more qualified for a position within the Holy Trinity. “The selection of Jesus to become the Messiah appears to be a clear-cut case of nepotism,” said noted theologian and report co-author Philip Baxter, who remarked that in first-century Judea, it was widely believed John the Baptist was the frontrunner to sit at the right hand of the Father. And there's more. As a practicing magician, I have greater access to the Akashic records than the staff of The Onion. I can confirm that this issue was included in Special Prosecutor Zuriel's report, but the full text was suppressed by Attorney General Shaitan. Instead, Shaitan issued a short memo stating that the report completely exonerated both God and Jesus of any wrongdoing. The Heavenly Hosts are currently trying to pass legislation that will release the full report, but are being blocked by members of Shaitan's faction who wish to maintain the status quo. So there's still no telling how this scandal may eventually play out. When asked to comment, Our Lord and Savior described the whole thing as "fake news" that he would soon be addressing on his Twitter feed.